DO NOT CUT YOUR HAIR until you read this FIRST! SAVE MONEY while you SAVE your HAIR, now! Genetics, lifestyle, diet, activity levels, and plain old aging leads to hair loss. Stress, medications and unbalanced hormones also takes its toll, and the sneaky major brands feature magic ingredients in a base that undermines healthy hair growth so that you must buy and buy and buy again! Aren’t you tired of being fooled and tricked? Even ripped-off!? Stay tuned for some truth about growing hair, now! 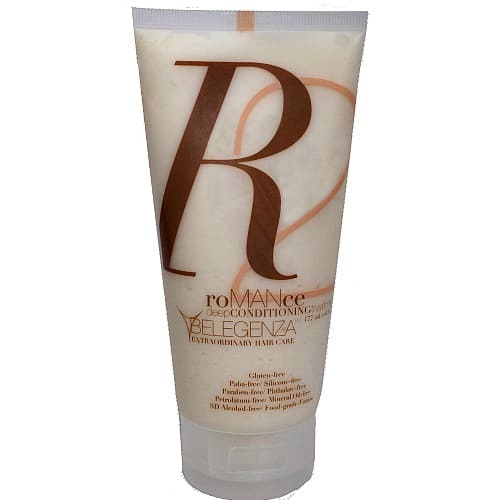 Carla Farmer, hair stylist of Rizolli & Isles/Angie Harmon, raves about Belegenza in Hollywood! Simple and effective for you with 4 products to: Shampoo, Condition, Treat, & Style. By using plant-based ingredients–with no synthetics, over the first 30 days gently removes chemicals and residues left behind by other products. Belegenza has infused intensely effective botanicals, so your hair core gets stronger, more luminous, & your hair feels healthier & looks younger. Not only is your hair now in its best condition, your scalp is balanced by food grade nutrition thus allowing each follicle to do what it does best…..growing hair! By nourishing your scalp this way, it makes sense why thousands of satisfied customers turn to Belegenza when they are serious about the finest for their hair. When you realize that other popular so-called natural and synthetic products may be accelerating hair loss, you will now be on your way to re-growth by using these natural products. By using these concentrated food-grade products, you save 2 ways…. your hair and your money! The average GrowOUT customer orders on a 7 week basis, after realizing how long it lasts. This is because you are getting effective active ingredients in greater concentrations than the others on the market. Rather than buying fillers, water, silicones, and empty promises from popular products, you now get effective, concentrated value with extraordinary results by using GrowOUT, now! Not affiliated with any medical, pharmaceutical, or health care situations or organizations,* Belegenza is dedicated to providing solutions for the root of what you want for your hair needs. 1 GrowOut Shampoo & Strengthener By gently removing buildup and chemicals that may be inhibiting your follicles growth, you will now be enhancing the papilla (growth point). Sulfate-free & color-safe, it can be used daily, even on sensitive scalps! Most discerning customers use this shampoo every other day, and with its concentrated effectiveness, costs less per application than competitor products which are filled with water, sls, salt, salicylic acid, and silicone derivatives (see shocking list). To get even more results, see Step 3—By using GrowOUT Scalp Energizing Spray each day, between shampooings, you can increase the money saving value, by supercharging your follicles all day every day 3)! 2 DraMatic Daily Volumizing Conditioner Detangle and repair damage that may be covered up with other previous synthetic conditioners. By the use of “springy” botanical seaweed extracts, you get body and natural bounce back to lifeless hair, now for even the finest hair. (Also, encourages scalp moisturizing). Reduce the crackling of dry ends by adding flexibility to the core of your hair. Watch your results increase during your first 30 days of use with these premium concentrated ingredients. Like with most of our very satisfied customers, this concentrated conditioner lasts up to 8 weeks or more! 3 GrowOut Scalp Energizing Spray By applying daily, directly to the scalp, this concentrated treatment of key premium and rare ingredients, encourages maximum results. Originally concentrated from the shampoo’s unprecedented results, users asked if they could get more of those power-packed ingredients in a leave in treatment. By listening to our thrilled customers, Belegenza went a step further by adding yet a few more ingredients to enhance results even more! By targeting areas where you now want fastest growth, the direct application nozzler delivers exactly where you want it and is only pennies per burst. Lasting up to 12 weeks, you now will be able to experience the appearance of fuller, thicker hair that you now want! 4 PerForm Control Styling Gel– On wet hair, after applying GrowOUT Scalp Energizing Spray as above, PerForm Gel encourages more body in your hair. As you now add another layer of protection to the scalp with food-grade seaweed extracts, you nourish and enhance the scalp all day while you add style support. By eliminating gel acrylates and polymer/plastics, hair gains more flexibility leading to longer lengths. Remember that styling gels sit on your scalp all day. Doesn’t it make sense to NOT plug your follicles with other synthetic gels (even salon brands) that smother follicle activity? Do the right thing for your follicles 24/7 with PerForm long lasting natural gel, made from a rare version of fast growing exotic seaweed protein extracts that supercharge your hair immediately! When you are serious about buying the best for your hair, GrowOUT is your answer and makes the best sense on the market. Made to empower your genetics and lifestyle, you owe it to yourself to do the very best. By joining the thousands of satisfied customers, like you, who want to reclaim and regrow your hair now. Before trying more mass market and salon products that may ruin your chances of your hair regrowth, doesn’t it make sense to trust GrowOUT’s food grade perfection first! By starting now, you increase your chances of saving more hair, and getting extraordinary results! Order now! Your investment in these 4 products is $154.00, when you order them individually–but that’s not what you will pay. With this package, you can buy, now, for $117 including free shipping within the contiguous U.S. 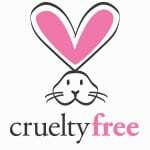 I just want to let you know how much I love your products. I don’t know if you knew that I was diagnosed with Valley Fever and had a rough two years. I was on such heavy duty medications that my hair was falling out in big patches. It was so bad that I had to wear a bandana to cover it. After using your products for the past year and a half, I am happy to say my hair has grown in beautifully and no need for bandanas! My girlfriend commented on how thick my hair is now and asked what I was using. I think she will now start to use Belegenza also. Just wanted you to know how much I love your products and glad you are doing so well. You want more information?….Continue reading! By now, you may be sure, but maybe not! What if you’ve never heard of Belegenza to begin with. It’s kind of hard for most people to just trust things without learning as much about Belegenza as possible before you make the investment and spend your money. (New to Belegenza? Click here to read “I’ve never heard of Belegenza. Why is that?” ) If you are not sure this is for you yet, and buying, now, is not certain….. allow us to expand on the explanation so that you can fully understand that GrowOUT and Belegenza products are simply the best for you. We have 3 main challenges in telling you about these awesome products. ONE: we cannot make claims, though they are true, because there are laws in place to keep us from telling it like it is, even though we have ingredients that are clinically proven! TWO: is that people like and want fast information and catchy, pretty marketing that catches their emotions and we want to share as much information as possible without being too long winded. (So, we have to try to balance things. That is what we did in the above write up, and now, we can expand upon it for people like you who want and need more. This way you know for sure you are making the right choices to use Belegenza!) THREE: We can’t make you buy, because you’ve already tried just about everything to no avail, and you may be afraid to now use a relatively unknown product! So, you have to be willing to take the leap, and trust us on this one, and from now on! We’ve been in business for several years, and all of our Hollywood Celebs are NOT PAID to say nice things about us. They genuinely like us. WEN, Loreal, and others always pay their actors and celebs for their endorsements). This makes sense, right? This just may be the answer you’ve been looking for, right? By the way, our return rate is so low….less than .01% ( that’s less than one per 100 orders! ), which so tells you that everyone loves Belegenza! As righteous and arrogant as it may sound, the only thing you stand to lose by not ordering now, is your hair. So, whatever is stopping you, set doubt aside and get started now. If you have a question, click on the Questions tab to the right and by all means… ask us! Other wise, scroll up and click the add to cart button now! As you can imagine there is a ton of work and strategy that has gone into the creation, sustaining and building of a company like Belegenza! As if the above is not over the top, let us show you how the general consumer is duped at another turn! Before going further, be sure to review silicone derivatives (shocking) avoid list)! When you are buying other products than Belegenza that feature argan, morrocan, minoxidil, saw palmetto, and a host of natural sounding ingredients, you are not being told that it is in a base of ingredients considered natural or organic. WE do not consider that silicone derivatives are natural or organic although big stores still do. (Did we say Whole Foods?) Though the above ingredients may have some effectiveness on their own, they are blocked and hindered by the oils and silicone derivatives which are coating your hair and scalp. They also make up a very small percentage of the formula, but are advertised as the main key ingredient. Belegenza proudly gives you a food-based formulas which are compatible with your scalp and hair, and then adds the largest percentage of active ingredients in the category…every time, in every product! This is why Belegenza has such success and why so many satisfied customers, just like you, want these products badly. We may not have the advertising budget…we do, however, have excellent customer retention rates and we plan to keep you satisfied for many years, just like our other happy customers! WEN vs. Belegenza Natural Hair Care! At Belegenza, by using already FDA approved food-grade ingredients, we never test on animals. Isn’t it time to get started now? It makes sense to nourish your hair, right? Can you imagine the power in knowing you made the right choices? You now know you are making the right choice! Scroll up and click the add to cart now button!